Clear amber color. Aroma of rosewood with an vibrant, medium body and a peppery, refreshing, medium-long vanilla caramel, chamomile and hominy, cinnamon dusted dried dates, and ginger and raisin fruit leather finish. A subtle and elegant sipping whiskey for quiet moments. Bottom Line: A subtle and elegant sipping whiskey for quiet moments. 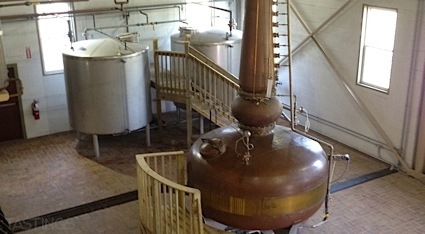 92 • Moylan’s Distilling Co. Single Malt Whisky 43% (USA) $50.00. 94 • Moylan’s Distilling Co. Cask Strength Single Malt Whisky 58.7% (USA) $70.00. 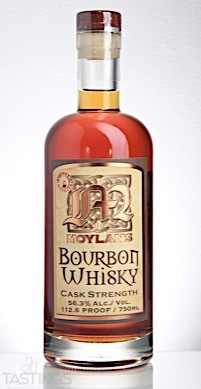 88 • Moylan’s Distilling Co. Cask Strength Bourbon Whiskey 56.3% (USA) $49.99. 84 • Moylan’s Distilling Co. ADI 2009 Workshop Single Barrel Port Finish Single Malt Whisky 43% (USA) $200.00. Moylan’s Distilling Co. Cask Strength Bourbon Whiskey rating was calculated by tastings.com to be 88 points out of 100 on 9/6/2017. Please note that MSRP may have changed since the date of our review.